Looking for fast, easy-to-sell option for SAS Visual Analytics and Visual Statistics? SAS now has signed an agreement with cloud-hosting provider Amsio to create a cloud-based portal environment for VA and VS. With this new set-up, SAS partners can deploy either VA or VS in 30 minutes and under a month-to-month contract. This makes VA and VS an easier sell, as it creates a smaller investment for customers and a shorter sales and deployment cycle. There is no cost for SAS partners, and can even be a low-cost option for setting up a proof-of-concept or demonstration. Under this arrangement, customers can enjoy VA and VS on demand, an ideal solution for small and medium businesses. The cloud-based solution eliminates the need for internal IT investments and frees the client from long-term contracts and set-up fees. The solution is available to SAS partners worldwide. Amsio is able to guarantee that data stays in the country of chosen datacenter, in order to help manage data privacy concerns and regulations. 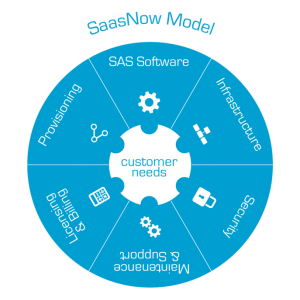 Once deployed, SAS partners are able to provide customers with data preparation, consultancy, support and application management services. For more information about this new offer, contact Nellie Scott at nellie.scott@sas.com. Jeff tends to just go by “Dudash” or “The Dude” and is the Senior Partner Program Communications Manager at SAS. For nearly 20 years, Dudash has connected businesses with influencers, managing communications programs for some of the top software and technology companies in the world including IBM, Best Buy, Lenovo and NCR Corporation. Off hours, Dudash lives and dies with Pittsburgh sports, and regularly names his dogs and children after Steelers quarterbacks.